Grew Up… as a warrior. President Whitmore was a military man before he entered politics. Don’t let his civilized manner fool you: Whitmore is a trained fighter pilot. Living… on the run. 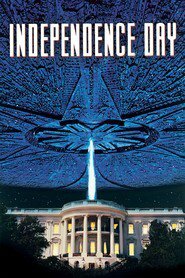 After alien invaders destroyed the White House, President Whitmore, his family, and his staff have been forced to relocate to a secret location. Relationship Status… married with one daughter. Aside from saving all the civilians of America from the extraterrestrial terrorists, Whitmore wants to make sure there’s a world left for his daughter to grow up in. Personality… levelheaded and strong. Thomas Whitmore was a born leader. Now that he’s facing the largest crisis that the world has ever seen, he has to harness his leadership abilities and save our planet. Thomas J. Whitmore's popularity ranking on CharacTour is #3719 out of 5,000+ characters. See our top-ranked characters and read their profiles.